The Annual Meeting includes a series of sessions designed for those of you in various stages of transition from medical student to practicing physician and/or faculty member. While the educational sessions are an extremely important component of attending an SGIM meeting, we also recognize how much you will gain from a number of networking and social events planned specifically for Students, Residents, and Fellows. The Young Scholars in GIM Scholarship is a program for residents and medical students that provides scholarships to support the registration fee to the SGIM Annual Meeting. Travel support is not available through this scholarship program. Up to 25 scholarships are available this year. Any medical student, intern or resident who is interested in attending the SGIM Annual meeting. This scholarship is designed to bring interested trainees to the meeting. It is not necessary to be presenting at the meeting to apply, but you do need to be an SGIM member. Any and all interested students and residents are encouraged to join SGIM and apply today! 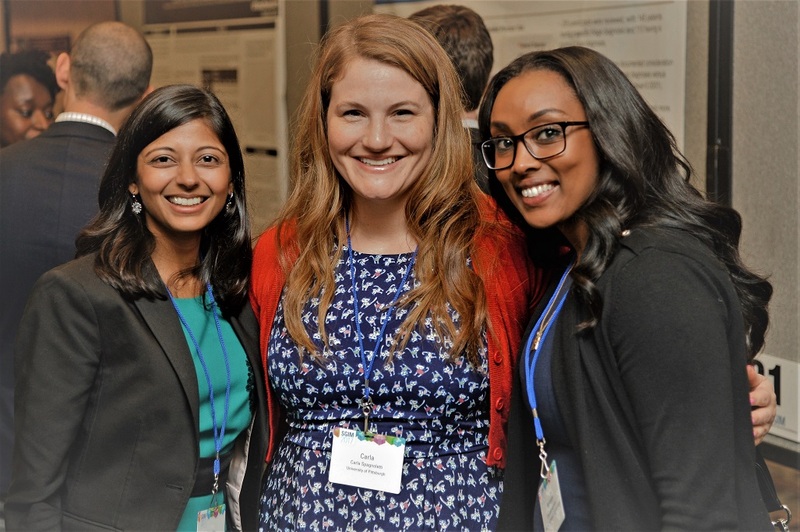 The Young Scholars in GIM Scholarship is designed to give students, interns and residents the opportunity to attend the SGIM annual meeting and allow them to fully experience all that SGIM has to offer. The SGIM annual meeting is a major hub of research, clinical and educational material that anyone with an interest in GIM will find to be high quality, broadly applicable, and expertly presented. The annual meeting has a wide-ranging agenda. A brief statement (200 words or less) that describes your interest in general internal medicine as well as your career goals. A brief statement (200 words or less) that describes your interest in and plans for the SGIM Annual Meeting in Denver, CO. This may include presentations you are giving, sessions covering your areas of interest, networking, etc.) You may wish to review content of interest to students, residents and fellows and identify those sessions or events you are most interested in attending in your statement. A letter of support from a leader or mentor at your institution who is also a SGIM member. If you cannot locate a member of SGIM at your institution to write a letter of support, please contact Muna Futur at futurm@sgim.org. Select the Awards Nominations and Applications page on the left menu. Click “Add” to choose the Young Scholars in GIM Scholarship from the drop-down menu. Upload the required documents and click “Post Changes” to submit. The One-on-One Mentoring Program is highly recommended! Connecting with a mentor can help you get the most out of the current meeting. This program can help provide you with a contact outside your own institution who can give you very useful career advice. Many long-time SGIM members are eager and willing to share their expertise with you! The SRF Mentoring Panel offers another opportunity for students, residents, and fellows attending the SGIM Annual Meeting to access mentors and have their questions answered on issues around practicing general internal medicine. Why should I consider general internal medicine as a “specialty”? How do you pursue careers in medical education, research, leadership or clinical medicine as a general internist? Who does a general internal medicine fellowship? How do I achieve work-life balance in IM? Interest Groups are another important mechanism for SGIM members with shared interests to begin and sustain cross-institution collaboration and exchange ideas. Previous fellows, residents, and students report they find these groups valuable. Register online by the Early Registration Deadline, December 14, 2017 to save $60. Please note: the ScholarOne system is a separate and different account from our online registration system. SGIM associate members (medical students, residents, and fellows) from the same institution are eligible for discounted Annual Meeting registration fees for groups of 11 or more. To qualify for group discount, the group must pre-register each associate member online, complete the group registration form with all member ID and registration confirmation numbers, and mail payment to the SGIM office by March 26, 2018. The institution must pay for all registrations along with a $25 registration processing fee in one instance. Group registration is available only to SGIM Associate Members. SGIM has arranged a reduced rate on a limited number of rooms at our meeting hotel. Rooms at this rate go quickly, so reserve your room early! When these rooms fill, you will have to reserve rooms at the regular group rate. This lowest room rate is for medical students and residents only. Interested in more information on careers in GIM?